Take full advantage of your online membership perks! Follow a step-by-step guide to apply for the CMA (AAMA) Exam. 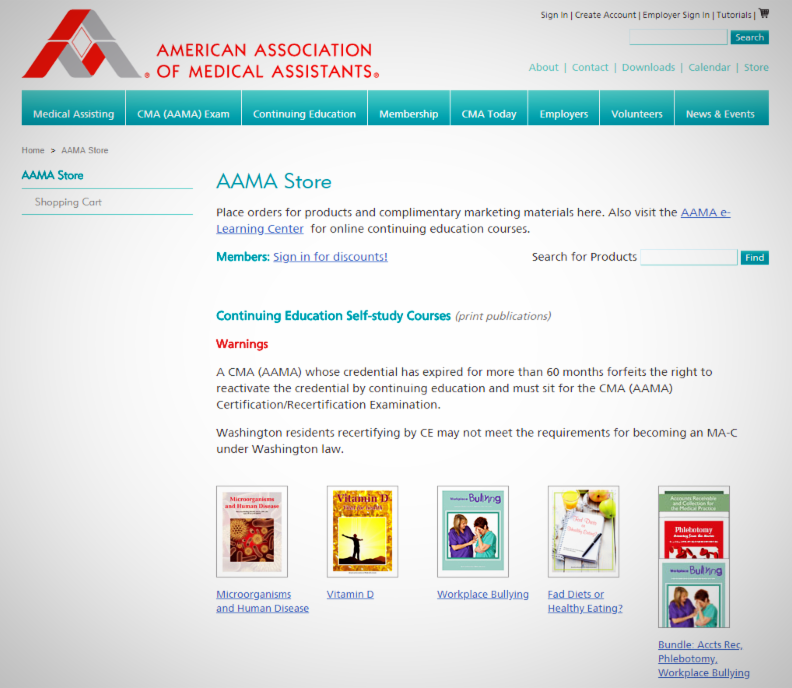 Discover resources to prepare for the CMA (AAMA) Exam. 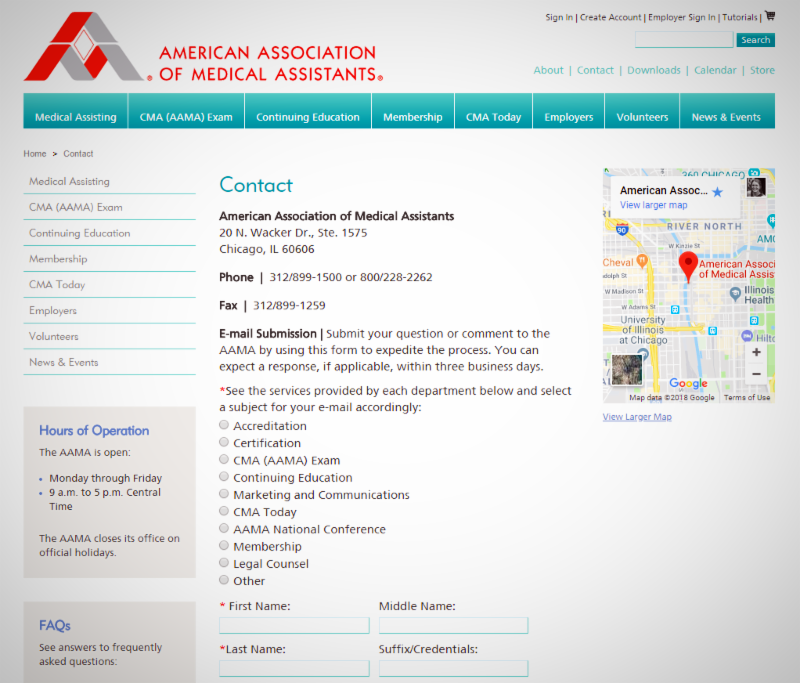 Instantly verify CMA (AAMA) credentials. 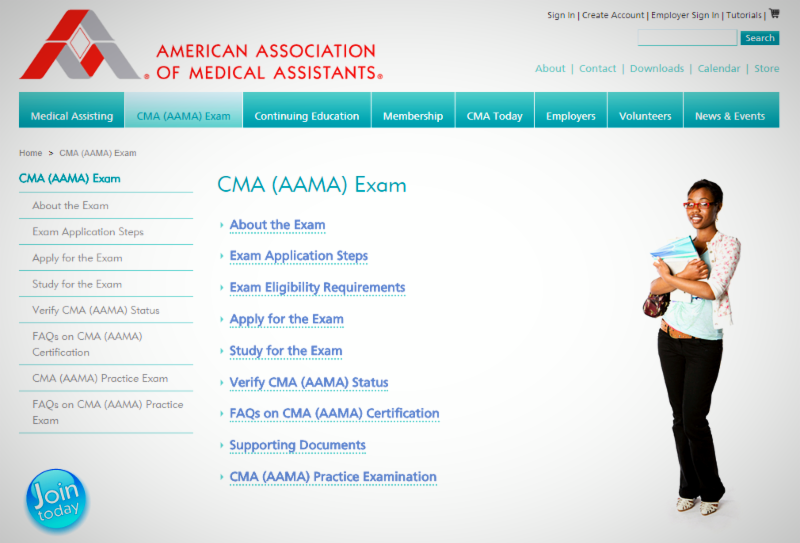 Put yourself to the test by taking the CMA (AAMA) Practice Exam. 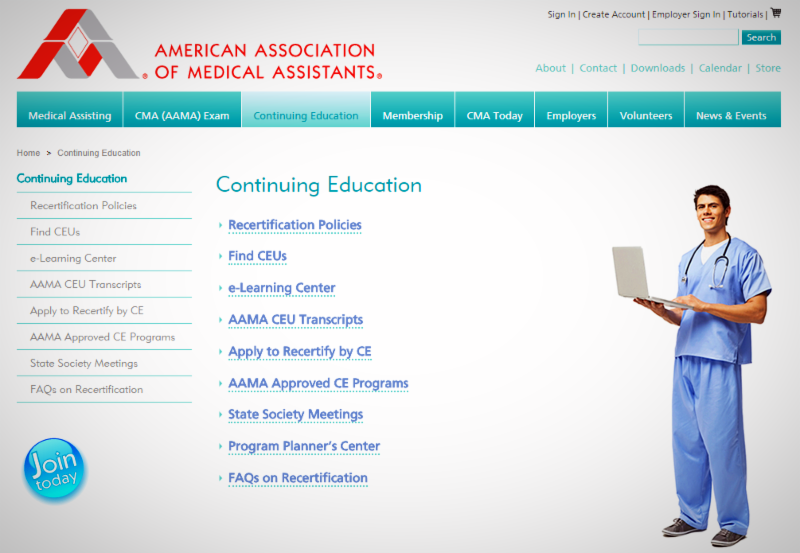 Read suggestions on how to find CEUs to recertify your CMA (AAMA) credential. Access the e-Learning Center to take online CE tests and earn the Assessment-Based Certificate in Geriatrics. Read the FAQs on recertification by continuing education. 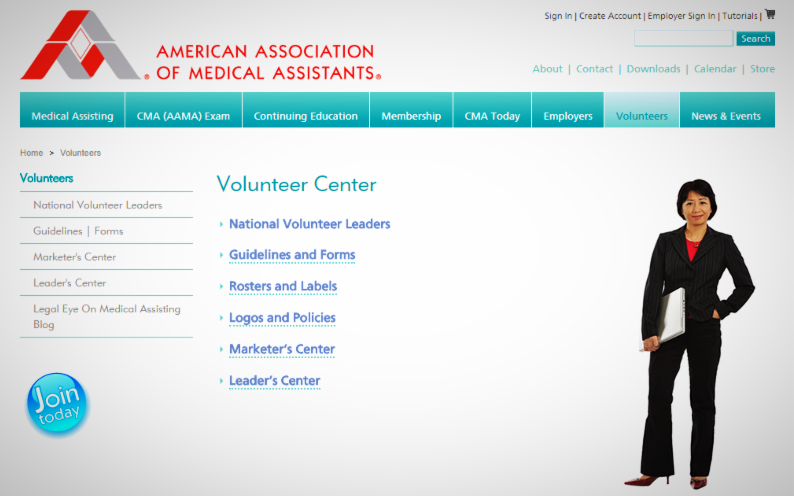 See the national volunteer leaders making a difference in the AAMA. Volunteer for association activities and help shape the future of the profession. Access all the guidelines and forms you need to succeed as an AAMA leader. 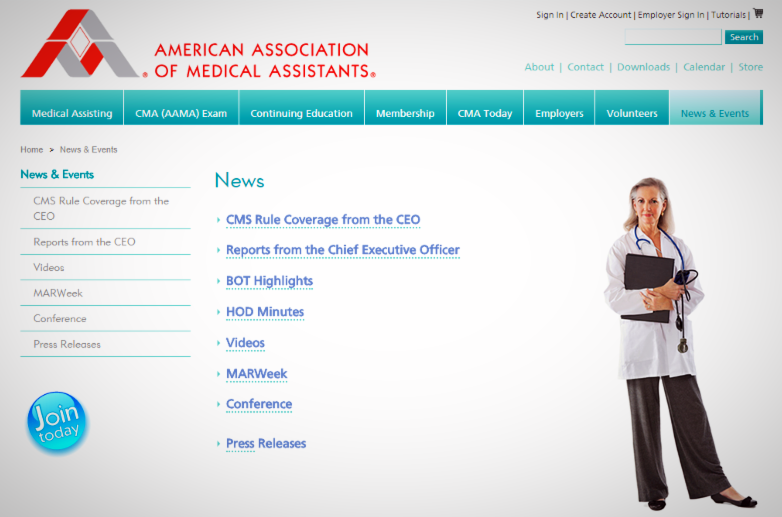 Keep up to date on association news with reports from the CEO and AAMA press releases. Enjoy complimentary MARWeek materials to celebrate the week, as they become available. Read up on AAMA Annual Conference details and access submission materials for the Excel Awards. Purchase CE self-study courses or logo products, order complimentary AAMA marketing materials, or make a donation to The Endowment funds. Have questions or comments? Find out who to direct your question to and how to reach us.